“A beautiful investment”, “durable”, “environmentally friendly” and “stain resistant” are some answers people give when asked why they chose wool carpet for their home. But a common question asked by these people is; “How do I clean my wool carpet and maintain its look?”. We have the answers. Here’s our five handy tips to caring for your wool carpet. Vacuuming: you’ve invested in a wool carpet, and we believe it goes hand in hand that you invest in a good quality vacuum cleaner, which ideally has soft bristles and good suction. This will help extend the life of the wool fibres. It is also particularly important to vacuum your wool carpet every day for one week, when it has first been fitted. This will remove any residue such as dust that has settled during installation. We also recommend an extended care plan for your wool carpet, which involves vacuuming twice per week in high-traffic areas. Wool is dirt and stain resistant, so this should be enough to maintain the luxurious look and feel of your wool wonder. Spills: don’t spend time fretting about the spill – just act immediately and follow our expert tips! Wool is brilliant at providing warmth and installation during the colder months due to the wool fibres’ small clever air pockets, however, this means that wool carpets are very tricky to dry, which of course isn’t ideal for when spills occur. A lot of people instantly start soaking and scrubbing a spill, however this could damage the carpet and cause it to smell, as it takes weeks to dry. The first step when a spill happens is to pick up solids and gently blot the spill instantly. Do not rub it, and make sure you are using a clean dry paper towel. Secondly, use clean, warm (but not hot) water. Here at Kennington Flooring we recommend using a clean spray water bottle, like a fertilizer bottle for the garden, and spray onto the soiled area. Then, use a soft and clean cloth or sponge to gently rub the carpet. Finally blot up excess water using another clean paper towel and don’t forget to ventilate the room well to help with the drying process. Use a fan and open the windows. It really is key that the carpet dries as quickly as possible. Pet accidents: when these incidents occur, act fast. We recommend using baking soda and vinegar to treat the area. First, sprinkle some baking soda and leave it for half an hour before vacuuming. Secondly, mix some vinegar, water and washing-up liquid, then softly rub the stain in a circular motion using a clean cloth that has been dipped in the solution and wrung out well. The vinegar will disinfect the soiled area and the baking soda will work at absorbing the odour. Using the same method, rinse the location with some water on a sponge and to conclude blot with a towel. As with treating other stains, DO NOT SOAK THE AREA. Stains: as will spills and pet accidents, attend to the affected area straight away. When a stain has deeply penetrated into the wool carpet pile, it becomes difficult and harder work to remove. 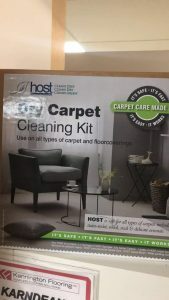 It is important that once attending to stains on your wool carpet that you strictly follow the manufacturer’s instructions and advice on any carpet cleaner you buy. It is a good idea to test the carpet cleaner first on an area of your carpet that isn’t in plain sight, just to be careful. Here at Kennington Flooring we offer a brilliant carpet cleaner which is ideal for wool carpet stains. Steam cleaning: Here at Kennington Flooring we recommend steam-cleaning your wool carpet once a year, but twice a year if it’s a high traffic area. This is because wool hides dirt and once substances such as mud, dust and sand get trodden into the wool carpet, it can wear the fibres and affect the look, feel and longevity of the flooring. When steam-cleaning we also suggest that all furniture, if possible, is removed from the area. It is important that you wait for the carpet to fully dry before returning the furniture to its rightful place. If possible, it’s a good idea to have your wool carpet professionally steam-cleaned, but to save money, renting a carpet steamer and doing it yourself is a great alternative. N.B Avoid steam cleaning a wilton style carpet i.e. Axminster type carpets as they are prone to shrink. If you have a wilton style carpet, we would always call a professional carpet cleaning company . For more advice on caring and cleaning your carpet, whatever material it’s made from, head on down to Kennington Flooring, Oxfordshire. 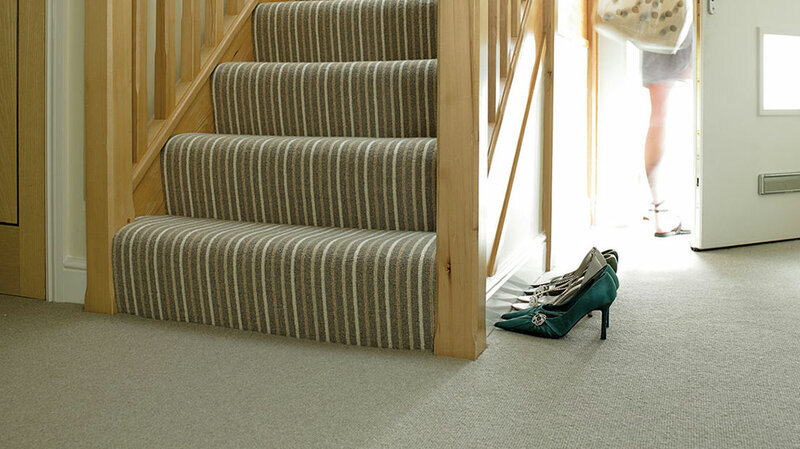 Alternatively, contact us online and our handy staff will happily answer your carpet queries.